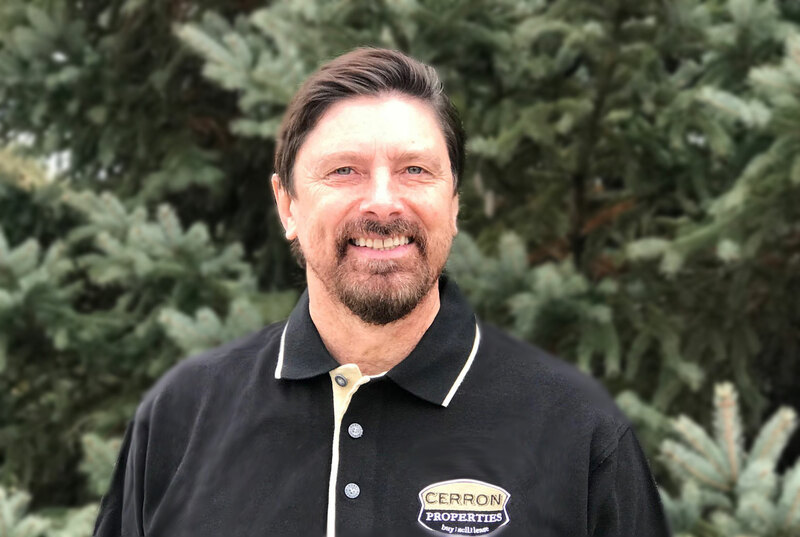 Role: Agent, CERRON Commercial Properties & APPRO Development, Inc.
Commercial Real Estate Agent specializing in helping churches, schools & non-profits. Why should someone who doesn't know APPRO and CERRON, choose our companies? It's a friendly company that helps clients find SOLUTIONS. What is your earliest memory of selling, designing or building something? My earliest memory is of designing and building a treehouse fort with my brother Mark. From there, as an adult, I continue to enjoy the design-build process. Beyond building treeforts, I am the president of CROSSROADS Land Development Corporation and have co-developed over 260 acres of a mixed residential and commercial Planned Unit Development at Cedar and Dodd in Lakeville. It is small, community focused, and very personal. What inspires and/or motivates you in what you do with APPRO & CERRON? To be able to find solutions for churches and non-profits to do the work they are called to do. What do you appreciate / enjoy most? I appreciate my faith, family and community. I enjoy community service and helping those in need. I love to preach and teach the Bible. I love to play with my 4-year old grandson. I was a back up singer for Barry Manilow and I was struck by lightening. "You are the best dad ever!" I love to cheer and play on football. WCCO Radio - "Church flipping Pastor joins Paul and Jordanna"
St. Paul Pioneer Press - "Church flipper restores old Twin Cities buildings for new congregations"
KSTP - "Pieces of hidden history uncovered inside old Minneapolis church"
What a blessing to have Pastor Paul as a member of our sales team! He has a heart of service for his local community and has a unique skillset to assist churches, schools and non-profits with their space needs with his years of experience. We are grateful Pastor Paul chose to join the team here at APPRO and CERRON. If you would like to consider joining our team, be sure to check out our CAREERS page for current open positions.